Solar Marine Light Tower. Used Through Out The United States and World wide by FEMA Federal Emergency Management Agency, DHS Department of Homeland Security, Disaster Recovery Efforts, Red Cross Disaster Relief, European Union, EU Refugees Camps, NATO North Atlantic Treaty Organization, Disaster Preparedness & Recovery. Solar Marine Navigation Light RED is Ideal for hazard marking, aquaculture, navigation, perimeter lighting & a host of other applications. 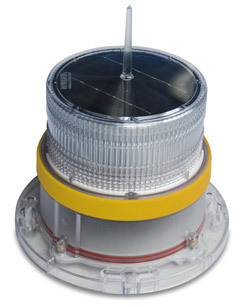 Solar Marine Navigation Light Yellow is Ideal for hazard marking, aquaculture, navigation, perimeter lighting & a host of other applications. 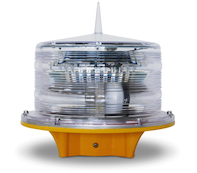 Solar Marine Navigation Light White is Ideal for hazard marking, aquaculture, navigation, perimeter lighting & a host of other applications. 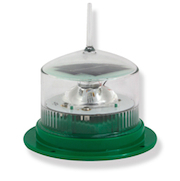 Solar Marine Navigation Light Green is Ideal for hazard marking, aquaculture, navigation, perimeter lighting & a host of other applications. Solar Marine Navigation Light Blue is Ideal for hazard marking, aquaculture, navigation, perimeter lighting & a host of other applications. 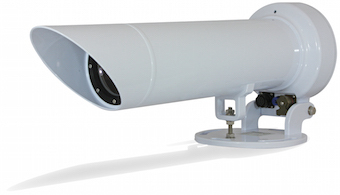 Self-Contained Marine Lanterns White 4 Nautical Mile white. 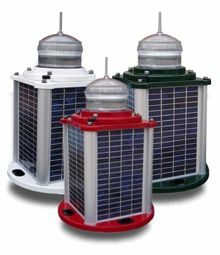 Solar Self-Contained Marine Lanterns RED Marine Lantern M650 Solar Powered Beacons multipurpose solar-powered marine light suitable for virtually any navigation or hazard-marking requirement up to 4 nautical miles in range. 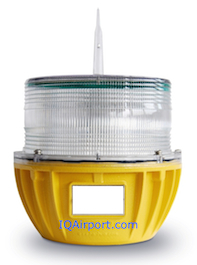 Self-Contained Marine Lanterns Yellow, Solar Powered Marker M650 multipurpose solar-powered marine light suitable for virtually any navigation or hazard-marking requirement up to 4 nautical miles in range. 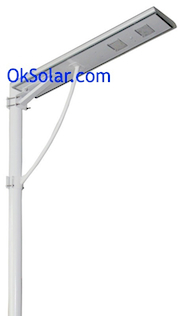 Solar Port Entry Lights Self Contained, Solar Dock Lighting Self Contained. 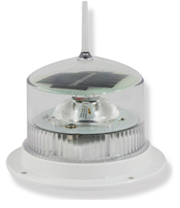 Solar LED Marine Light Self Contained, Solar Dock Lighting Self Contained. Marine Parking Lot Light Solar and Area Lighting, 70 Watts LED Lamp, Running Time 8-10 hours, World Zone 4 (4-5 Hours of Daily Solar Radiation). 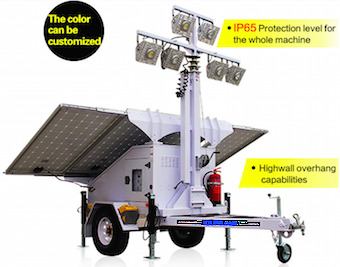 Port Lighting Solar, Marine Parking Lot Light Solar and Area Lighting, 70 Watts LED Lamp, Running Time 8-10 hours, World Zone 4 (4-5 Hours of Daily Solar Radiation). Solar Port Lighting Self Contained, Solar LED Marine Light Self Contained, Solar Dock Lighting Self Contained. 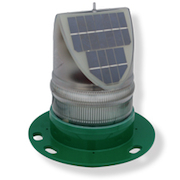 Port Entry Light Solar Obstruction, Solar LED Obstruction Light - Applications: Obstruction light for a wide variety of cranes used in Harbors, Metallurgies, Towers (Telecom, GSM,Smokestacks, Buildings and any other potentially hazardous obstructions for air traffic with a steady burning red or flash safety light. Solar Powered Sectored Port Entry Light | Solar LED Port Entry Light (PEL), Solar PEL Port Entry Leading LED Light, Solar Navigational Aids to IALA Standards. 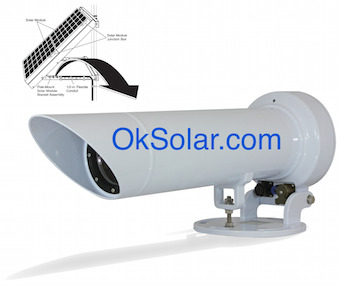 Range Lights | Solar Port Entry Lights | Solar Leading Lights. Solar Marine Warning Beacon Light for Communications Tower obstacles, Telecommunication Obstruction Light, Cranes Obstruction Light, chimney Obstruction Light, Buildings Obstruction Light, Sport Stadiums Obstruction Light, High Voltage Towers Obstruction Light, Obstruction Light, Wind Generation Obstruction Light, Hazardous obstructions to air traffic.